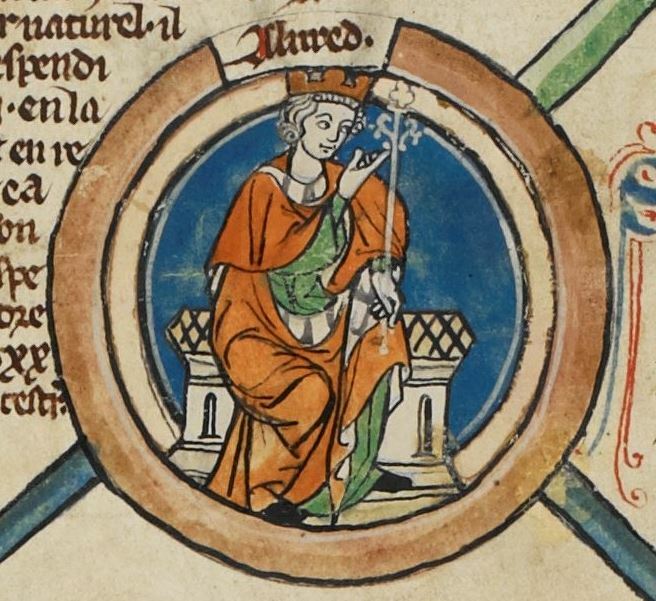 Alfred was King of Wessex from 871 to 899, and successfully defended his kingdom against Viking attempts at conquest,. By the time of his death had become the dominant ruler in England. He is one of only two English monarchs to be given the epithet "the Great", the other being the Dane Cnut the Great. He was also the first king to style himself "King of the Anglo-Saxons", and is therefore often seens as the first king of England. Alfred had a reputation as a learned and merciful man of a gracious and level-headed nature who encouraged education, proposing that primary education be conducted in English rather than Latin, and improved his kingdom's legal system, military structure, and his people's quality of life. He was succeeded by one of his sons, Edward the Elder.